Nipah virus is a type of RNA virus transmitted from animals to humans. The infection causes severe respiratory illness and symptoms including cough, headache and fever, which can progress into encephalitis, seizure and coma. Currently, there is no approved vaccine against Nipah virus available on the market. In recent years, outbreaks, from bat-to-human or pig-to-human transmission, have been reported in Malaysia, Singapore, Bangladesh and India. The World Health Organization (WHO) therefore lists Nipah virus as a priority pathogen needing urgent action. In order to reduce the risk of Nipah virus becoming a global danger, it's essential to develope a safe and effective vaccine against the virus for humans and animals. Matthias J. Schnell, Ph.D., Chair of the Department of Microbiology and Immunology and his team from Jefferson Vaccine Center at Jefferson (Philadelphia University + Thomas Jefferson University) developed a novel recombinant vaccine called NIPRAB that shows robust immunization against Nipah virus in animal models. They published their findings in npj Vaccines on April 15. Dr. Schnell, together with the first author and graduate student Rohan Keshwara, took advantage of a modified rabies virus vector, and incorporated a gene from Nipah virus—creating a viral particle that displays components of both viruses on its surface. The rabies vector is a well-established vaccine strain with little capacity to cause diseases in the nervous system. Because the immune system interacts with both viral components, it develops a reaction that is specific and can defend against both viruses. "We have a vaccine that is safe and effective against Nipah, Hendra, and Rabies virus in mice," says Dr. Schnell. "Future work will focus on testing the vaccine on different species and establishing the right dose of injection. 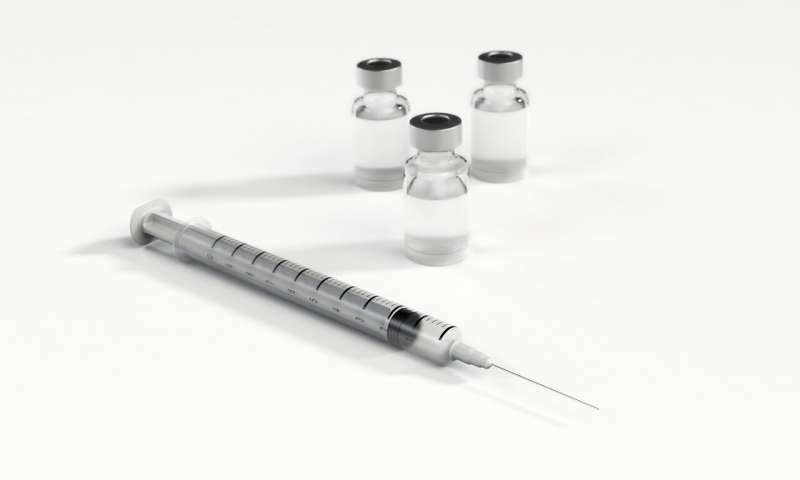 We also used the same vaccine platform to develop vaccines against several other emerging viruses, including a vaccine against Ebola virus, which is close to entering into its first clinical trial." More information: Rohan Keshwara, Thomas Shiels, Elena Postnikova, Drishya Kurup, Christoph Wirblich, Reed F. Johnson, and Matthias J. Schnell, "Rabies-based vaccine induces potent immune responses against Nipah virus," npj Vaccines, DOI: 10.1038/s41541-019-0109-5 , 2019.